« Thomas Sowell Compares FDR and President Obama. Let’s Take A Look At Bitcoin. Bitcoin has been in the news lately for a variety of reasons. Many people have never heard of it, some have but don’t really understand what it is, and others understand what it is and are excited about its potential to become the medium of exchange. Simply put bitcoin has evolved spontaneously in the free market as an alternative to paper money. 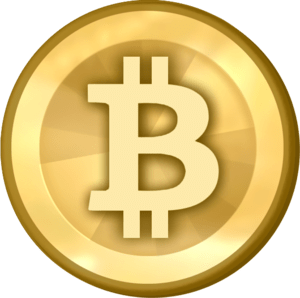 The two most important questions that have to be asked concerning bitcoin are, 1) can bitcoin become money (the medium of exchange), and 2) will Governments be able to shut down the process of bitcoin becoming money? I’m going to give you links to articles that explain what it is, links that try to answer if it can become money, and then link to articles about Governments response to bitcoin. UNDERSTANDING MONEY BEFORE UNDERSTANDING BITCOIN. In order to understand bitcoin you have to understand, what money is, how did the idea of money come about in the first place, what are the qualities of money, and how has it evolved into the paper money system we have today? This previous post answers these questions. Does The Supply Of Money Have To Increase To Accommodate Increasing Production? First look at a few short videos explaining bitcoin. What Is Bitcoin Video, by weusecoin.com. What Is Bitcoin Video, by dailyreckoning.com. Here are some articles explaining bitcoin, and also addressing the question, can it become money? Related article titled, The Bitcoin Money Myth, by Frank Shostak at mises.org. Related article titled, Could Bitcoin Be The Money Of The Future, by Detlev Schilchter at detlevschlichter.com. Related article titled, The Money-ness Of Bitcons, by Nikolay Gretchev at mises.org. Related article titled, Bitcoin: Money Of The Future Or Old Fashioned Bubble, by Patrik Korda at mises.org. Related article titled, Use Bitcoin Indirectly For Purchases At Gap, Lowes, Game Stop, and Burger King, at economicpolicyjournal.com. Governments will, at all costs, fight to keep their monopoly position on the creation (counterfeiting) of money, by the Fed. Breaking: CFCT, Considering Bitcoin Regulations, at economicpolicyjournal.com. Canadian Government To Tax Bitcoins, at economicpolicyjournal.com. Bitcoin: The Tyranny Test, at economicpolicyjournal.com. “Bitcoins Have The Direct Attention Of Government”, at economicpolicyjournal.com. Bitcoin Alert: The U.S. Treasury Announces Money Laundering Rules Apply To “Virtual Currencies“, at economicpolicyjournal.com. Department Of Homeland Security Has Seized Funds Associated With Dwolla Account Of Bitcoin Dealer Mt. Gox, at economicpolicyjournal.com. U.S. Government Begins Bitcoin Shutdown, at zerohedge.com. The reason I like the discussion about bitcoin: it is an opportunity to get people to think about what money is, how it evolved through the barter system, what is a gold standard, what is paper money, why the Federal Reserve’s monopoly on printing money is a bad thing, and could bitcoin (or some other not yet thought of idea) evolve into the medium of exchange not controlled by Government? The more people get informed about these things, the less chance they will get fooled by politicians and bureaucrats who try to tell them how great a particular policy or regulation will be. I think bitcoin, (or something else), could become the medium of exchange. It fits all the requirements of money except it isn’t accepted by enough people yet, (although it could be, given enough time). When people start to talk about prices of items in terms of bitcoins instead of dollars, it’s a sign bitcoin has moved very far down the road toward becoming money. What I mean by this is, people will start to say something like, “I paid one and a half bitcoins for X” instead of saying “I paid one hundred and sixty-four dollars for X”. At this point it is becoming widely accepted by the public. The main obstacle bitcoin has on its journey to becoming (or not becoming) money, is the same obstacle we face in our daily pursuits, namely, Government interventions, rules, regulations, and as we’ve seen from the IRS scandal this week, out right abuses of power. The fact that Government has started to worry about bitoin, tells me two things. 1) They think it is a threat to their monopoly position in creating money (counterfeiting). 2) More and more people are getting curious about it; which will lead to them discovering that Government monopoly on money creation only benefits Government and banks, and the economic problems we are experiencing were primarily caused by the Fed counterfeiting money. Related article, Keynes Was Correct In 1919! by austrianaddict.com. Related article, A Look Over The Horizen At What Lies Ahead On The Central Planning Road, by austrianaddict.com. Related article, We Can’t Recreate The Garden Of Eden, by austrianaddict.com. This entry was posted on May 17, 2013 at 12:17 am and is filed under Econ. 201. You can subscribe via RSS 2.0 feed to this post's comments.